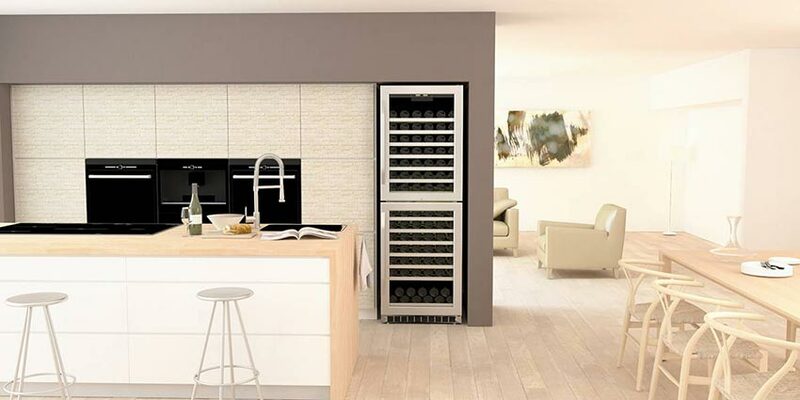 Designed to harmoniously integrate into your lifestyle, built-in wine coolers are one of the most popular and luxurious ways to store your wine. The convenience of installing this type of wine fridge underneath your countertops cannot be overstated. 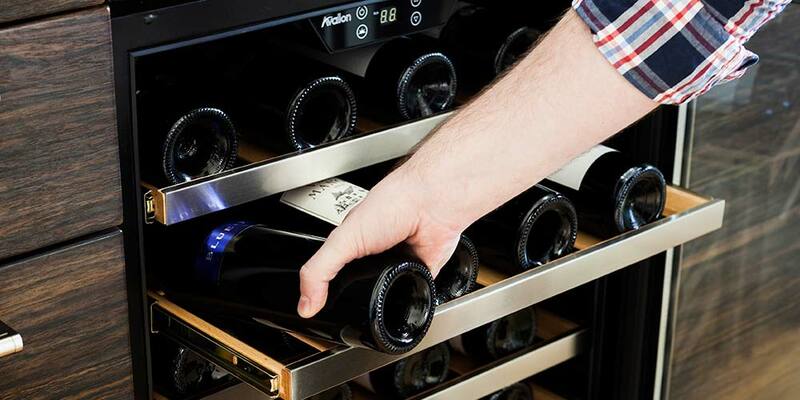 Not only do you save floor space, but you can keep your favorite bottles of wine nearby and always ready to open at your desired temperature. 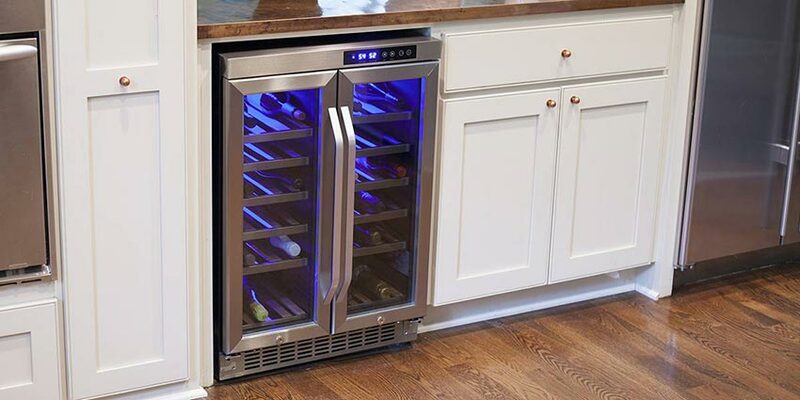 Whether you’re remodeling your kitchen or simply looking to replace an old trash compactor, a built-in wine cooler is easily one of the best ways to store your wine for both aging and serving. With the right unit, you are guaranteed to improve the overall value of your home and create an environment that is ideal for storing wine. But with so many different brands, models and sizes available, finding the right built-in unit for your home can be somewhat tricky. 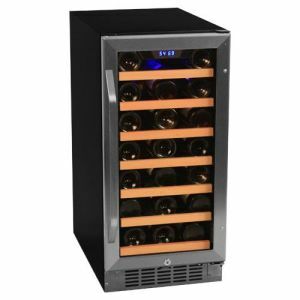 To help you find the best wine cooler for your home, we’ve analyzed and highlighted the most popular built-in units available today. Based on the feedback we’ve received from readers like yourself, we’ve compiled a list of the most popular undercounter wine coolers. To ensure that all of the units featured below are truly the best available, we will be using feedback from customers to update this list accordingly. Please click on any unit below to learn more. The above list of wine coolers are only a taste of what is available to you. Designed in a wide variety of sizes, colors and finishes, you have plenty of built-in wine fridges to choose from. 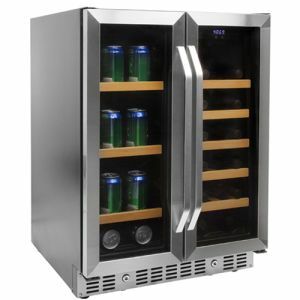 Here are a few things to consider while shopping for a wine cooler. The number of bottles a wine cooler can store is one of the most important factors to take into consideration while shopping. This is especially true for built-in units, as it is installed directly into your cabinetry. Depending on your specific need and the amount of space you have available, built-in wine refrigerators are available with a wide range of storage capacities. From larger units that store over 200 bottles to smaller units that store less than 25 bottles, the options available make them a great fit for just about any situation. 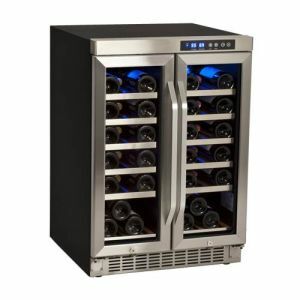 Common Scenario To Consider: We often hear stories of customers that install a small undercounter wine cooler to keep their favorite bottles of wine in a convenient location, such as their kitchen, but also have a freestanding unit located elsewhere in their home that they use to age different varietals. This allows you the convenience of having wine that’s perfectly chilled and always ready to enjoy, but also keep your growing collection stored in a safe, undisturbed environment. 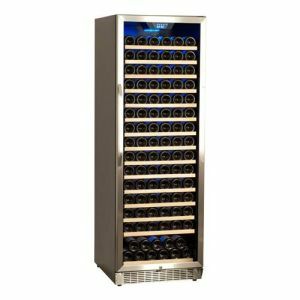 No matter what size or type of wine cooler you buy, the manner in which the unit cools is based on one of the following methods — Thermoelectric or Compressor-Based. Compressor Cooling — Powerful and able to cool large collections of wine, compressor cooling is the same technology that is built-into a standard kitchen fridge. It has the ability to properly cool a large number of bottles, as well as maintain the temperature even if the environment it resides in changes quickly or dramatically. The downside of compressor cooling is that they tend to use a little more energy and are a bit louder than thermoelectric units. Thermoelectric Cooling — Popular due to its energy efficiency and low decibel levels, thermoelectric wine coolers utilize a completely different process to cool the inside of the unit. 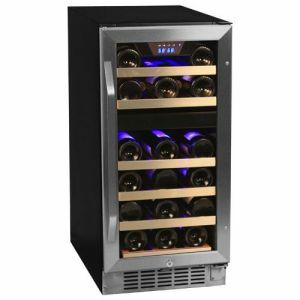 Ideal for small homes or apartments, thermoelectic coolers are nearly silent and don’t create any vibrations that could alter the aging process of your wine. 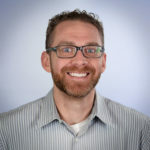 The downsides of thermoelectric cooling is that they are designed for smaller units and the environment in which they reside may alter the temperature within the unit itself. Learn More: The Differences Between Compressor & Thermoelectric Wine Coolers. Multiple cooling zones is another popular feature that you should consider when buying a built-in wine cooler. This can be beneficial if you like to drink a variety of different wines. When it comes storing and serving wine, the optimal temperature will vary with different varietals. With multiple cooling zones, you have the opportunity to store a variety of reds, whites and sparkling wines within your built-in unit, but keep them all at different temperatures. Not only does this keep them ready to serve on a whim, but you will be able to truly experience the full flavors and aroma of each wine in your unit. 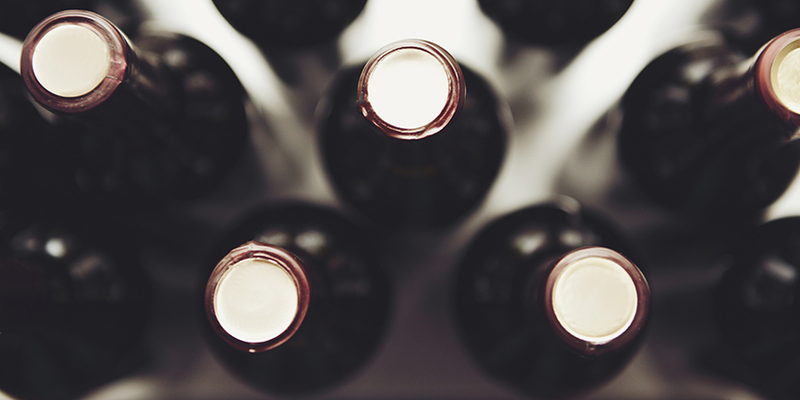 Single Zones — The most common and basic type of wine cooler. 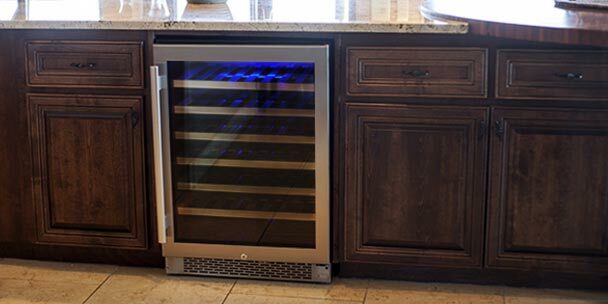 A single-zone wine cooler will keep everything inside the unit at the same temperature. This is ideal for anyone that knows what they like, and primarily sticks with one or two varietals. 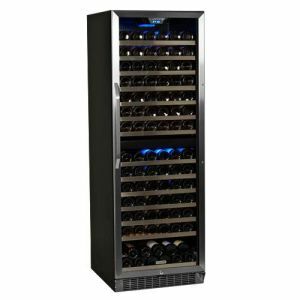 Dual Zones — The most popular option, and a highly-recommended feature for wine enthusiasts and novices alike, a dual-zone wine cooler gives you two temperature zones within the unit. This added flexibility is ideal for anyone that likes to taste a variety of different varietals. Triple & Quadruple Zones Multiple cooling zones are a little harder to find, and typically reserved for larger units. Nevertheless, you do have plenty of built-in options available that have multiple temperature zones available. This is the ideal solution for the wine collector looking to age various types of wine. 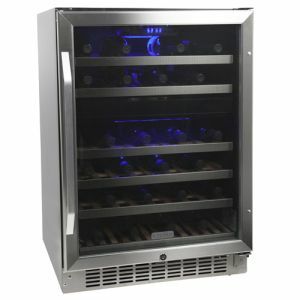 Dual-zone wine coolers are the most popular option, especially for undercounter fridges, as you can keep a variety of different wines ready to open. Dual-zone units also give you the unique opportunity to store other beverages, such as water bottles, cans of soda or even jugs of milk, all within the same unit. This setup can be quite beneficial to many families, as you can free up space in your main fridge and keep beverages easily accessible to everyone, young and old. Conveniently placed in the heart of your home, built-in wine refrigerators are designed specifically to sit flush with cabinetry, providing a seamless and elegant look in any kitchen or home bar. 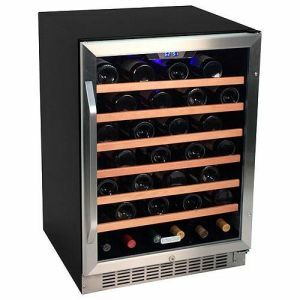 The added convenience of undercounter units allows your wine to remain at your preferred temperature and always ready to open. You no longer have to drink room temperature wine or attempt to quickly chill a bottle down to a temperature that is more desirable. Whether you have an unexpected guest drop by or just had one of those days, you can rest assured that you will have your favorite wine ready to enjoy whenever you want. Easy to read temperature controls ensure that your wine will age appropriately, giving you a better tasting experience upon opening. A built-in wine refrigerator is a fantastic addition for any kitchen, and an easy way to quickly improve the value of your home. As you can see from the list above, there are many great models available from many reputable brands. All designed to suit a variety of different lifestyles and budgets. To ensure that you get the best built-in wine cooler for your home, we would recommend you give our buyer’s guide a read. 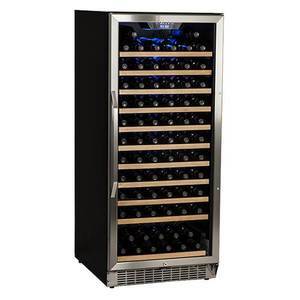 I am looking for a 15 by 34 inch wine cooler to replace an old ice maker. 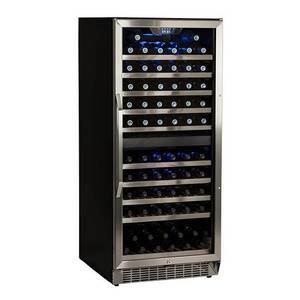 I am seeking a wine cooler that will control temperature and humitidy. It does not need to be large.. 100 bottles? I I’m looking for Preferably an 18 inch but can use a 15 inch under the counter wine cooler. Single drawer zone is fine. I’d like one that doesn’t have the wood handles with something that is dark black trays. Please advise.